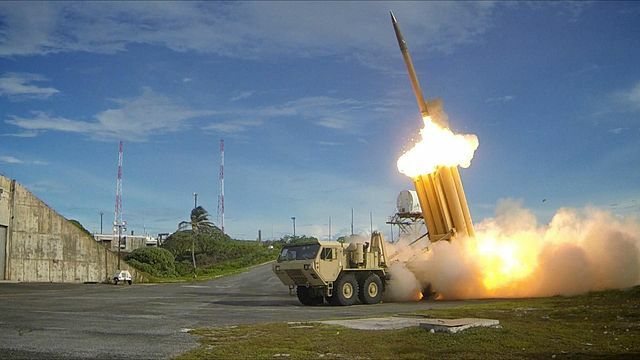 South Korean President Moon Jae In demanded a probe yesterday into why he wasn’t told about the arrival of additional launchers for the country’s US-supplied terminal high-altitude area defence (Thaad) missile defence system. President Moon vowed before taking office on May 10 to review deployment of a system that has infuriated both North Korea and China, which consider its powerful radar a security threat. Many of his supporters don’t want the system, which US President Donald Trump said Seoul should pay for. 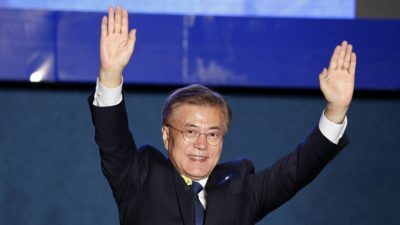 Senior presidential adviser Yoon Young Chan said Mr Moon had discovered that four more launchers for the Thaad system had arrived in the country since the original two launchers were installed in April. Defence Ministry officials didn’t report their arrival when they gave the president’s policy advisory committee a briefing last Thursday. “President Moon said that it’s ‘very shocking’ after receiving a report” on the incident from his national security director, Mr Yoon said. The new president, who favours dialogue with North Korea, is working with cabinet members appointed by his pro-Washington conservative predecessor Park Geun Hye, who was ousted from office in March over a corruption scandal. Mr Moon has nominated some of his own cabinet members but they haven’t formally taken office. He was sworn in as president straight after winning a May 9 by-election and hasn’t had the usual two-month transition period. Washington stations about 28,500 troops in South Korea, supposedly as deterrence against potential aggression from North Korea. After facing conservative attacks on his security views during the election campaign, Mr Moon toned down his Thaad criticism, saying that deployment would be inevitable if North Korea continued provocative test-firing of ballistic missiles. The new president has said that he will employ both persuasion and pressure to resolve the North Korean nuclear stand-off.